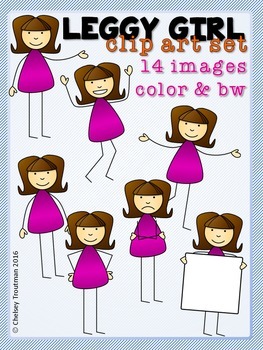 This is a set of 7 color and 7 line art images featuring a leggy girl. There is a total of 14 images in the set. Feel free to use these for your commercial or personal needs, just make sure to provide credit back to my store. I appreciate you taking the time to leave feedback! Thanks!